Sometimes doctors advise their patients on taking a certain expensive brand-name medication or choosing a specific manufacturer of any other kind of medical supply. There is no doubt about doctor’s knowledge, but how a patient could know that his physician’s experience about medication or practice is still objective and untainted, if pharmaceutical companies may pay the doctor for promotion and good reviews of their product? In some cases, doctors could be paid for consulting on marketing plans as well. It could not have any effect on the efficacy of patient treatment, however, and maybe a doctor does not receive any money from pharmaceutical companies at all. But if a healthcare specialist receives some costs, is there any way to get know about it? Of course, doctors are not required to tell their patient if they work with any of pharmaceutical companies even if they prescribe specific medications from the manufacturer. Also, they could be in collaboration with a company and simply make some research job for it. And so, it seems there is no any way to find out if a doctor prescribes medications or other supplies made by a company he has a relationship with or if he prescribes different medications from different companies. The knowledge of this information is pretty important because the patient would know if the doctor is trying to present interests of the company or treat his patient the best way possible. There is another question: why this information is so important? There could be ways when prescribed medications from one pharmaceutical company simply work and help a patient to mitigate or cure his disease. But sometimes brand-name drugs not only pretty expensive but have a lot of side effects, which could be dangerous and they could be prescribed by a doctor who collaborates with a company simply because of the payments. 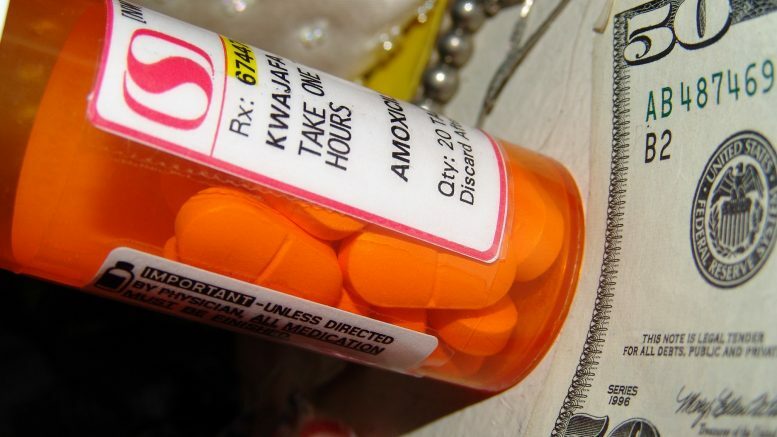 Here you can read an article about how doctors can prescribe expensive brand-name drugs only. For a long time, patients trusted to their doctors without any concerns, because they believed that their healthcare specialist will do what is right for them. But for the last years, people were witnesses of a great deal of caused by pharmaceutical manufacturers payments to health care professionals, not proper marketing (when benefits are overrated and side-effects are underrated), accusation settling and some other. Of course, after those scandals patients wanted to know more about their doctors. It is obvious, that close relations with pharmaceutical companies help them to be aware of new research, medications, therapies and innovations. It also helps them to get a higher qualification and be up-to-date. Unfortunately, some doctors do not use those ties with companies for their patient good. They could keep quiet about side-effect or tell their patients about overrated benefits of medication, ignoring all studies proving its low benefits or even danger to a patient’s health. A good example is a scandal around spine experts, who overrated benefits of Medtronic bone. They supported a company which had paid them for their production promotion. Now patients could get a knowledge about ties between their healthcare provider and pharmaceutical companies before a visit, as special tools are available now. Under the pressure of legal settlements and the U.S. Congress, some of the companies, who paid doctors for the promotion of their product, revealed the names of those doctors. Not all the companies revealed the information, but by 2013 every located in the U.S. company will have to reveal the information about payments to doctors, even if those payments were for non-medical stuff. This process is a part of Patient Protection and Affordable Care Act (PPACA), assigned by president Obama. ProPublica, independent, nonprofit newsroom, have collected data from a dozen companies which make about 40% of all medications sales and found an interesting information about health care providers paid by those companies: most of them did not participate in any medical research and have not any associations with medical centers, some of them have only a license number and no other information or credentials available. Before 2013, the only way to get some information about the payments is to use database ProPublica created. This database is called Dollars for Docs and could be found here. Patients could use the database and check if their doctor has any financial ties with one of 12 pharmaceutical companies, mentioned earlier. It could be a good habit to ask a doctor if it is possible to use non-medication solutions for treatment, if there is a generic form of medication available, if there are some additional side-effects possible, comparing to a manufacturer competitor’s medication? Those questions could save money and prevent health conditions caused by side effects. Unfortunately, this is the only way now, until companies will reveal the information in 2013. But patients should consider that the information about financial ties is not enough to make a decision and designate a doctor. Checking the information about health care provider at the web site of state medical board and other patients’ comment should be considered as well. Be the first to comment on "Doctor And Pharmaceutical Company Financial Ties"